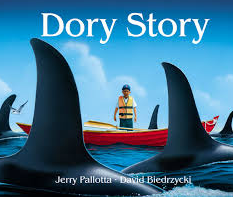 Our story this week is Dory Story. I could not find a video of this story so you can check it out at the library if you don’t have a copy. This book has amazing pictures and is about using your imagination (just like we did for Bark George and Best Pet of All, as well as others). Danny lives near the ocean. He gets in a dory (a boat) and sees amazing underwater sea life. He becomes surrounded by sharks! Ask your child what happens at the end. 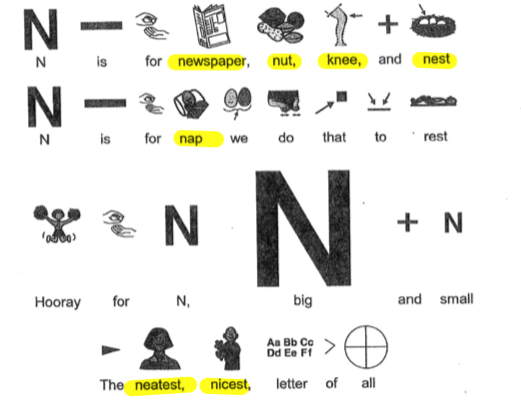 If he/she can’t tell you, tell them to finish this sentence, “Danny used his imagination to create the story while he was taking a __________. Our sound is /n/ this week. I am not including a Language Extensions At Home Page since we have had the /n/ earlier in the year (November). Here is the poem to practice. August 8-12, 2016 s-s-s-s-s, the snake sound!